Manchester City move to within three wins of successfully defending the Premier League title courtesy of a 2-0 triumph over local rivals Manchester United at Old Trafford. Sports Mole selects its strongest combined XI from the squads of Manchester United and Manchester City ahead of Wednesday's crucial derby at Old Trafford. Sports Mole looks at how Manchester United could line up for Wednesday's crucial derby with Manchester City at Old Trafford. Manchester United were knocked out of the Champions League by Barcelona this week. Jose Mourinho questions Manchester United manager Ole Gunnar Solskjaer's tactics in Tuesday's 3-0 loss to Barcelona. Sports Mole looks at how Manchester United could line up against Everton as they look to bounce back to winning ways following their Champions League exit. Barcelona book their spot in the semi-finals of the Champions League with a 4-0 aggregate win over Manchester United. Paul Pogba scores twice from the penalty spot as Manchester United record a 2-1 win over West Ham United in the Premier League. Ahead of Manchester United's home match against West Ham United on Saturday, Sports Mole looks at how the Red Devils could line up. Sports Mole provides team news, predicted lineups and a full preview of Saturday's Premier League clash between Manchester United and West Ham United. An own goal from Luke Shaw sees Barcelona record a 1-0 win over Manchester United in the first leg of their Champions League quarter-final. Sports Mole looks at how Manchester United could line up for the first leg of their Champions League quarter-final tie against Barcelona. Wolverhampton Wanderers overturn an early deficit to register a 2-1 win over 10-man Manchester United in Tuesday's Premier League encounter at Molineux. Sports Mole looks at how Manchester United could line up in Tuesday night's Premier League clash with Wolverhampton Wanderers. Sports Mole previews Tuesday's Premier League clash between Wolves and Man United, including predictions, team news and head-to-head records. Manchester United move above Arsenal into fourth position in the Premier League table courtesy of a 2-1 win against Watford. Sports Mole looks at how Manchester United could line up for Saturday's Premier League meeting with Watford at Old Trafford. Sports Mole previews Saturday's Premier League clash between Manchester United and Watford, including predictions, team news and head-to-head records. A report claims that Manchester United and Belgium striker Romelu Lukaku is facing a spell on the sidelines with an ankle injury that he sustained last week. Sports Mole looks at how Manchester United could line up for Saturday's FA Cup quarter-final against Wolverhampton Wanderers at Molineux. The Gunners secured a 2-0 victory over Ole Gunnar Solskjaer's side to move into the Premier League top four. Sports Mole rounds up Manchester United's latest injury and suspension news ahead of Saturday's FA Cup quarter-final with Wolverhampton Wanderers at Molineux. 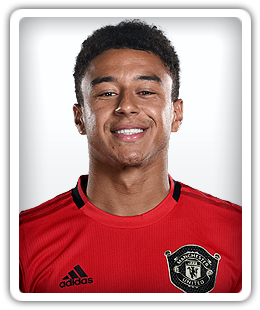 Manchester United midfielder Jesse Lingard returns to training after a hamstring injury ahead of Sunday's Premier League fixture at Arsenal. Sports Mole looks at how Manchester United could line up for Sunday's crucial Premier League clash with Arsenal as they prepare to welcome key first-team players back. Ahead of Sunday's Premier League meeting between Arsenal and Manchester United, Sports Mole selects its strongest combined XI from both teams. Sports Mole rounds up the latest injury and suspension news for Manchester United as they look to build on their miraculous comeback against PSG when they face Arsenal. The Manchester United forward watched the incredible result unfold on television. Manchester United interim boss Ole Gunnar Solskjaer is saving Anthony Martial for Sunday's trip to Arsenal, according to a report. Sports Mole rounds up Manchester United's latest injury and suspension news as they could be missing as many as 10 first-team players for their clash with PSG. Ahead of the Champions League showdown between Paris Saint-Germain and Manchester United, Sports Mole selects its strongest combined XI from both sides. Ahead of Manchester United's Champions League last-16 trip to Paris Saint-Germain, Sports Mole looks at how the Red Devils could line up. Sports Mole provides the team news, predicted lineups and a full preview of the Champions League last-16 second leg between PSG and Manchester United. Ahead of Manchester United's home clash with Southampton in the Premier League, Sports Mole looks at how the Red Devils could line up. Sports Mole previews Wednesday's Premier League clash between Crystal Palace and Manchester United, including predictions, team news and head-to-head records. Sports Mole looks at how an injury-plagued Manchester United could line up for Wednesday's Premier League clash with Crystal Palace at Selhurst Park. Former Arsenal forward Paul Merson tips Crystal Palace to beat Manchester United in Wednesday's Premier League clash at Selhurst Park. Sports Mole rounds up the latest injury and suspension news for Manchester United ahead of their Premier League meeting with Crystal Palace. Sports Mole selects its Premier League team of the week for gameweek 27, including Alexandre Lacazette, Alisson Becker and three Watford players. Inter Milan to rival Man Utd, Liverpool for Ziyech?